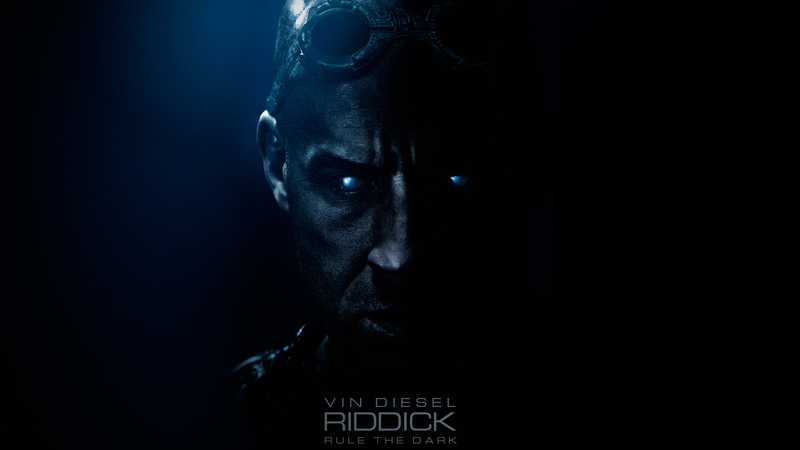 Vin Diesel returns in the full-length ‘Riddick‘ trailer, again picking up his title character from ‘The Chronicles of Riddick’ after he’s been left for dead on a lifeless, sun-scorched planet. But death is not an option for this action star. ‘Riddick’ stars Karl Urban, Jordi Molla, Matt Nable, Katee Sackhoff, Bokeem Woodbine, Dave Bautista, Conrad Pla, Raoul Trujillo, Nolan Funk and Keri Hilson. You can next catch Diesel in ‘Fast and Furious 6,’ but after seeing this new trailer, we’re a little more excited to go into darkness. This entry was posted in Movies, Trailers, Video and tagged Bokeem Woodbine, Conrad Pla, Dave Bautista, Featured Content, Jordi Molla, Karl Urban, Katee Sackhoff, Keri Hilson, Matt Nable, Movie Trailers, Movies, Nolan Funk, Raoul Trujillo, Riddick, Sci-Fi, The Chronicles of Riddick, Trailers, video, Vin Diesel. Bookmark the permalink.